New. 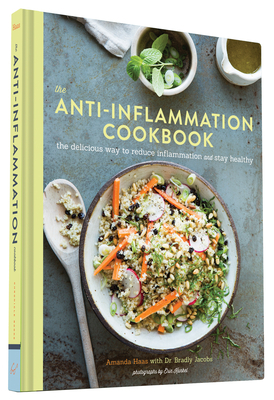 65 recipes for basics, breakfasts, snacks and appetizers, vegetable and grain sides, mains and sweets that feature ingredients with anti-inflammatory properties. Num Pages: 160 pages, 50 full-colour photographs. BIC Classification: WBH. Category: (G) General (US: Trade). Dimension: 235 x 184...2016. 1st Edition. Hardcover.....We ship daily from our Bookshop. Good. Has a publisher's remainder mark. Book reads fine but has wear and small tears.